Adding a bright, bold and eye-catching personal touch to your interior, splashes of colour can look great in every room in your home. As well as adding a stylish design touch, introducing colour into your kitchen, living room or bedroom can also affect the way the space feels, with different shades affecting our moods in different ways. If you want to brighten up your interior and stamp your personality onto your home, here are eight innovative ways in which to do it. 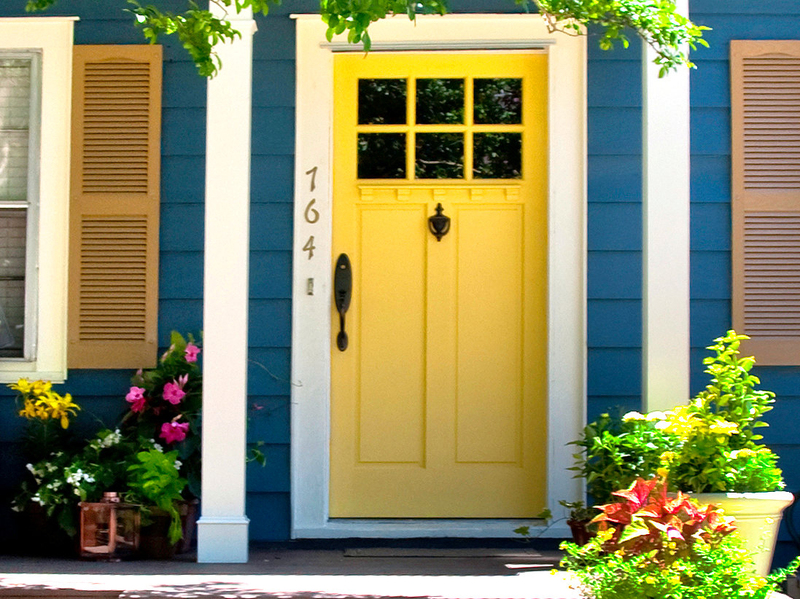 Painting your front door a bright, bold colour is a fantastic way of adding personality to your home. Choose a shade that’s unique to your road to make your house stand out from the crowd. 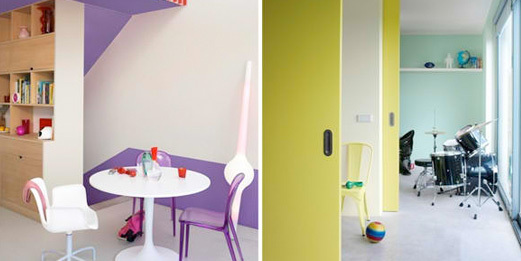 Using colour in your interior design can be tricky, especially if you don’t want to overwhelm the space. A great option for adding subtle colour to your home is to paint the inside of your bookshelves or alcoves in a bright tone while keeping everything else neutral. With many household appliances now available in attractive and eye-catching colours, they’re a great way to add a splash of colour to your home without the need to open up a single tin of paint. Brightly coloured chairs, sofas and tables are a fun way to add colour to your space or, for a subtler look, you can opt for block coloured cushions. 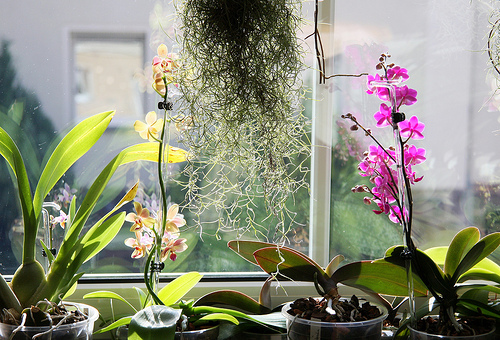 Adding a natural touch as well as a splash of colour, houseplants are perfect for bringing the outside in and brightening up your interior. Often overlooked when it comes to decorating, the ceiling offers a huge amount of potential for adding colour to the home. Brightly coloured ceiling lights or table lamps are great for bringing colour and warmth into your interior. Match them to your soft furnishings and accessories for an attractive unified look or choose a clashing shade for a more eclectic feel. One of the easiest ways to bring colour into your home is to hang some bright and bold artwork on the walls. As pictures are easy to replace, you can change the colour scheme of your home whenever you want. For more ideas on brightening up your interior, head to your local McCarthy and Stone development or visit their website for inspiration. Categories: General, Home & Garden, Home Improvement, Interior Design, Lifestyle, Property.